4 Bedroom Terraced House For Sale in Tunbridge Wells for Asking Price £400,000. Guide price 400,000 - 450,000. The spacious and flexible accommodation is in need of some modernisation but has been extremely well maintained throughout and comprises of an entrance hall, downstairs cloakroom and a large open plan reception room with doors to the rear garden. There is a separate kitchen which gives access to the integral single garage (which could be converted, subject to necessary consents). On the first floor there is a master bedroom, three further bedrooms and a family bathroom. 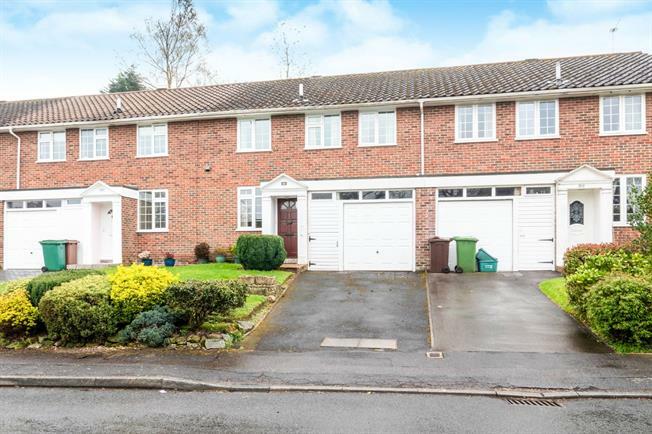 There is a front garden, driveway and integral single garage located to the front of the property as well as a landscaped garden to the rear with patio, ideal for outside entertaining.